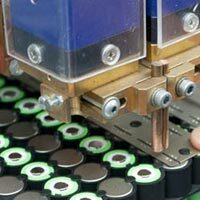 SES is having rich technical expertise in battery technology, today SES is playing a key role in the development of Li-ion batteries for Aerospace, Defence, Marine, Medical and other elite markets. Li-ion provides higher energy levels and longer cycle life at a lower weight and in smaller volumes than Lead Acid, Ni-Cd or Ni-MH batteries. SES also has extensive expertise in design, development and testing of the battery protection circuitry to keep the battery packs safe. Providing exceptional power due to its higher nominal voltage of 3.7V. This chemistry operates in a vide temperature range of -30â�¦C to +60â�¦C and has a favourable shelf life. 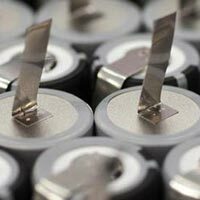 SES is a trusted name among the Lithium Ion Batteries (Li-ion/Polymer Batteries) manufacturer, exporter and suppliers, based in Haryana. 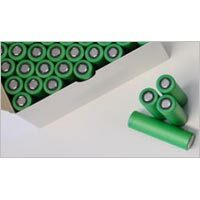 We manufacture and supply high quality Rechargeable Lithium Ion Batteries which are prominent for their unbeatable quality and affordable prices. SES has developed some standard lithium-ion Soft packs in-house developed pack protection circuit modules. When weight and size are critical issues, SES Lithium mobile powerpack technology is your perfect choice for high density energy storage that achieves significant weight and space savings. SES offers its modular powerpack system for field deployments that can be scaled from small bases to trailer-based solar power generation to large remote community energy systems requiring hundreds of kilowatts. * Models are in cylindrical shape with wire harness. * Please contact sales team before confirming your order or drafting specification. Dimensions and weight may vary because of continuous development in design and production.